When you're riding downhill or doing freeriding, you wouldn't just wear any helmet. When you're riding downhill, you want to make sure you have your Switchblade. 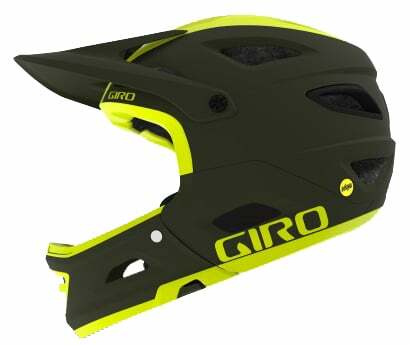 The Giro Switchblade MIPS MTB Helmet is a highly versatile helmet that is ASTM downhill certified and has a removable chinbar. The chinbar is easily removable and easy to reinstall. 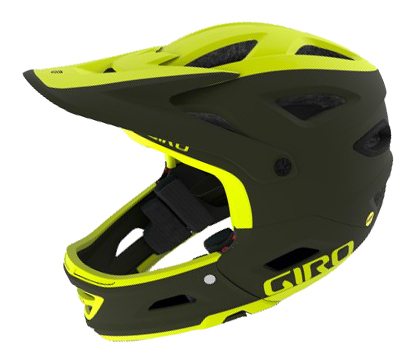 It features MIPS which helps redirect impact energy and it features the new Roc Loc Air DH fit system which has a bumper around the dial to prevent accidental adjustments if your helmet contacts your backpack or neck brace. The Wind Tunnel cheek pad ventilation adds even more cooling power as you climb those hills. The POV Plus visor allows the use of an action camera while you're riding so you can prove how cool you are out on the trail.